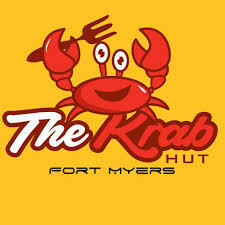 The Krab Hut Fort Myers opened in February in the Sam’s Club Plaza on US 41. It is in the location that was originally BT Boomers and previously a Chinese Buffet. However, now it has a completely new and sleek look. 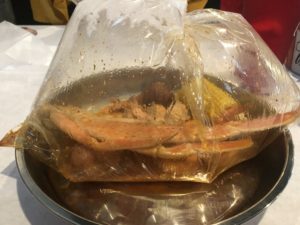 Billed as a Cajun Seafood boil restaurant where they steam the seafood and then it is shaken in a bag of spices of your choice. 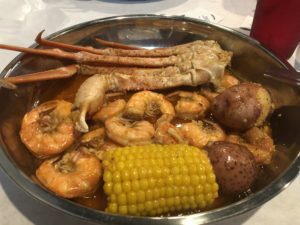 The menu has a wide variety of choices from shrimp to crab to muscles, oysters, clams and even crawfish. You can get ½ or 1 lb or some combo choices. We opted for the crab leg and shrimp combo where you get ½ lb of each, several potatoes and a niblet of corn. We opted for the combo of sauces where you get all of them. This is great for those who just can’t choose just 1 sauce. I opted for the med and my dining partner opted for the hot. You know you are in for a messy treat when they bring you a pail that has bibs, gloves and wet naps in it. Many of you may not like to “work” for your food as some told me but oh this is so worth it. Often with Snow Crab legs, you do all that work for very little meat but that is not the cause here. The shells cracked easily, and the meat was plentiful. 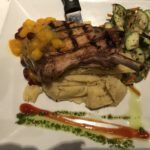 It would be easier if they gave you small seafood forks as they are great for extracting the heavenly goodness, we call crab meat. There were plenty of shrimp and you do have to peel them. This really adds to the messiness but is so much fun getting all messy and such. We even made jokes about who used the most napkins. It was a tie at 7 each. The corn and potatoes were cooked perfectly. This was one of the most pleasurable seafood experiences in sometime. The service was well let’s put it this way, sometimes she was gruff and other times she was very nice. However, despite that the service was good. The wines they serve, and cocktails are reasonably priced. $6.95-$7.95. 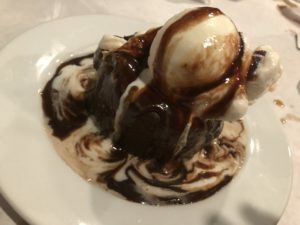 We did have dessert, a chocolate lava cake with vanilla ice cream. It was really rich, but the vanilla ice cream helped with that. 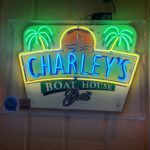 If you are looking for some really good seafood and do not mind it being messy then you will want to give Krab Hut Fort Myers a try.